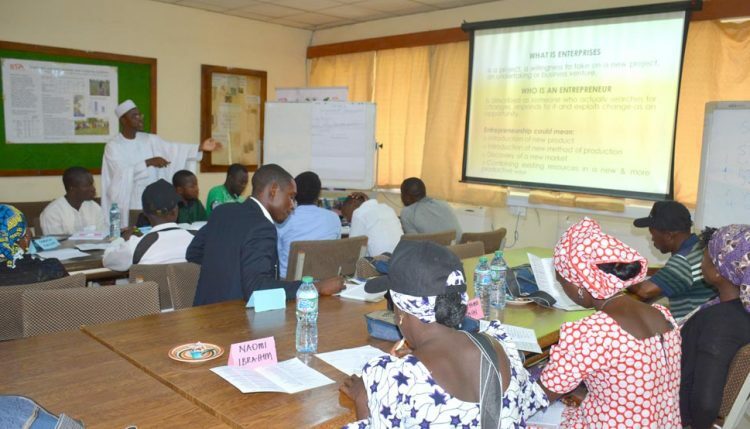 Following the workshops organized by the IITA Youth Agripreneurs for 40 youth in Borno State in September 2014 and 2015, N2Africa has approved grants for the trained Agripreneurs to kick-start their agribusiness enterprises. 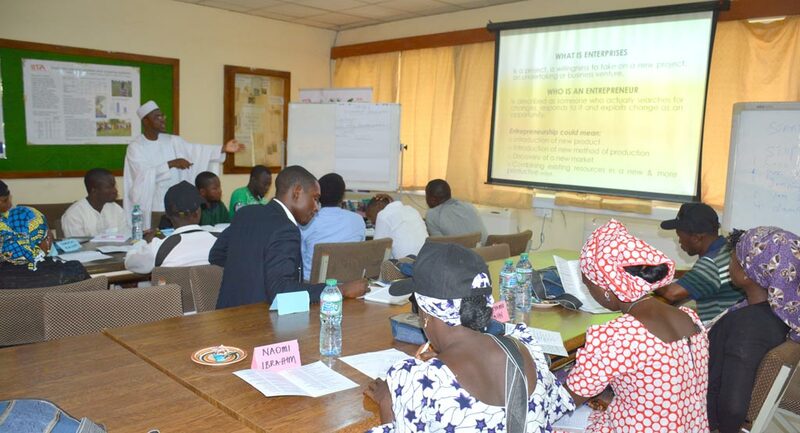 After selecting 20 potential agribusinesses from the identified crops, the youth chose the following: production and marketing for soybean, cowpea, and groundnut; groundnut oil and cake production; farm inputs/agrochemical supply; pesticide application services; animal fattening using grain legume crop residue as the main feedstuff; poultry keeping using grain legume by-products as feedstuff; local fabrication of labor-saving agro-tools; and fish farming using grain legumes as a major component of fish feed. The beneficiaries have registered their businesses with the Corporate Affairs Commission (CAC) under 40 different names, which were also used to open commercial bank accounts for their businesses. The Agripreneurs will also have access to soft loans which will be provided by the Bank of Agriculture (BOA). In addition, the business plans assessed and approved by the BOA will be funded at 12% interest, while those that satisfy the requirements of the Bank of Industry (BOI) will be funded at 5% (if there are matching funds) or at 9% (if there are no matching funds). To kick-start these business plans, as well as reduce the debt burden (repayment of capital with interest) on the Borno Youth Agripreneurs, N2Africa had—in October 2015—approved a grant of NGN 450,000 for each Agripreneur, and NGN 2.5 million for the groundnut oil and cake project. N2Africa–Borno plans to provide the grants in three installments. The first installment was made at a formal ceremony on 3 December 2015 in Biu, with the Emir of Biu as the chief host and the Executive Governor of Borno State as the Guest of Honor. The remaining installments will be paid later, subject to good progress and full adherence to acceptable accounting standards by the Agripreneurs.